I awoke Sunday at 7:15 a.m. to the sound of a thundering herd of elephants coming down my hall. How is it possible for a 40 pound child to make so much noise? Next thing I know there is a little face shoved in mine saying, "Mama! The sun is up - it's time to get up!!!" Yes, the son is up so there will be no more rest for the weary. Thus we began the Sunday morning ritual TV watching. However the son surprised me when he asked to watch Dinosaurs. Now you might ask why I would actually be happy to watch The Land Before Time for the umpteenth million time but it turns out it was a nice respite from crocodiles. You see ever since we went to the Camden New Jersey Aquarium he has had nothing but crocodiles on his mind. 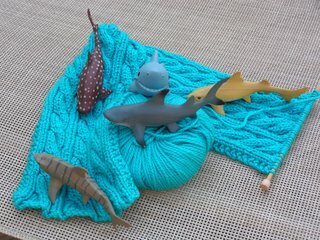 And then it dawned on me - it's sort of like knitting (isn't everything?) You see first there was his love of sharks - it was all sharks - all the time. It's sort of like when I first started the Irish Hiking Scarf - I loved the pattern, loved the yarn and even bought the yarn in several colors so that I could make IHS for all my friends. I swore to always love the Irish Hiking Shark. 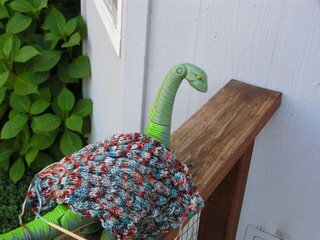 But then - the clapotis dinosaur caught my eye. I forgot all about the Irish Hiking Sharks. I was in love with the clapotis and just wanted to knit those. I even bought yarn to make many different clapotis (sounding familiar?) and the Irish Hiking Sharks just lay quitely in my knitting basket. 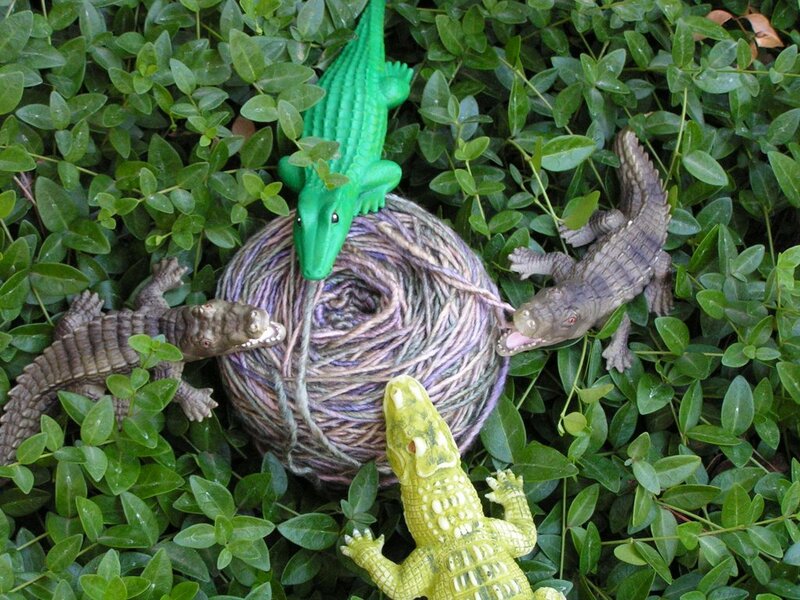 Every now and then I would play with them but not nearly as much as I used to. 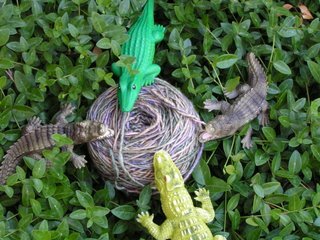 Then just when my toychest was full of yarn to make clapotis - I learned about the felted crocodile - so many patterns for felted bags, so many yarns . . . well you get the idea! Very funny!!! I adore the color of the Irish Hiking Scarf.